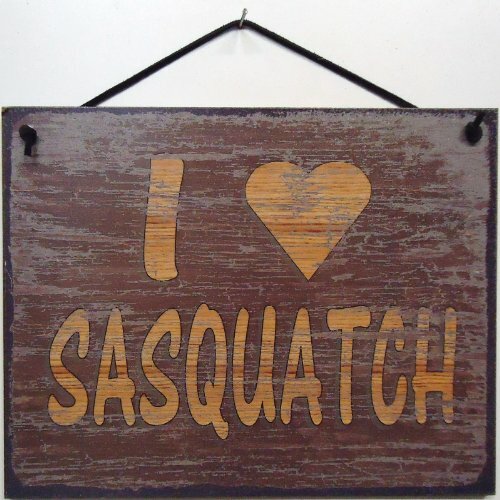 BEWARE OF SASQUATCH SIGN. A BRAND NEW sign!! Made of thick aluminum and tough vinyl lettering and graphics. This sign is 12in. wide and 18in. tall - the same size as official signs. This is a novelty sign made like an official sign. Can be used outdoors or displayed indoors. Comes with two holes pre-punched for easy mounting, corners are rounded. Buyer to pay $7.00 shipping anywhere in the USA, others contact seller for your shipping costs. Certified checks, money orders, personal checks, and cash (USD) accepted.